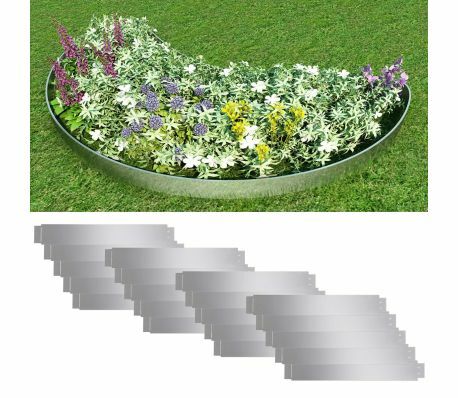 This high-quality lawn divider is flexible, and can be bent in any shape easily. It will make a practical addition to your backyard. This galvanised steel lawn divider will be a perfect choice for your outdoor space. Thanks to the high-quality galvanised steel, this fence is sturdy. Delivery includes 20 fence panels.